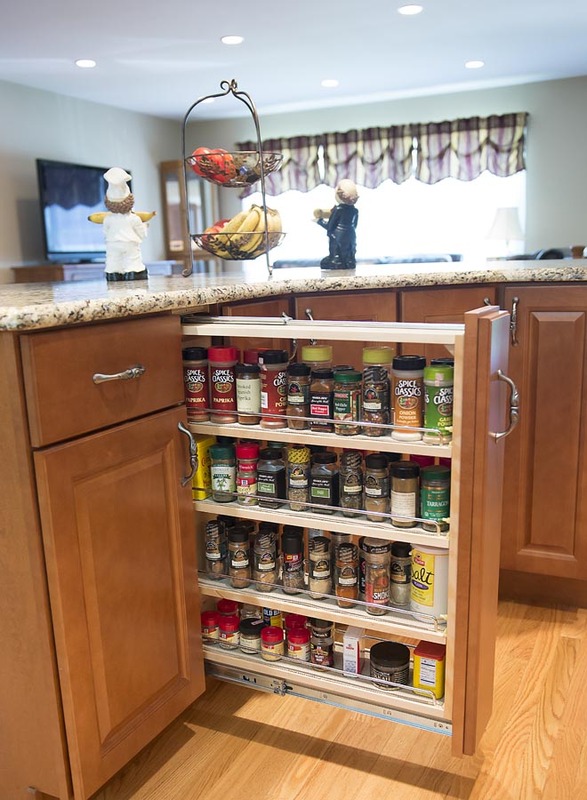 Cherry Hill kitchen features roll out trays in base cabinet to store pots and pans. Kitchen Aid mixers can be concealed into a cabinet and even placed onto a lift. 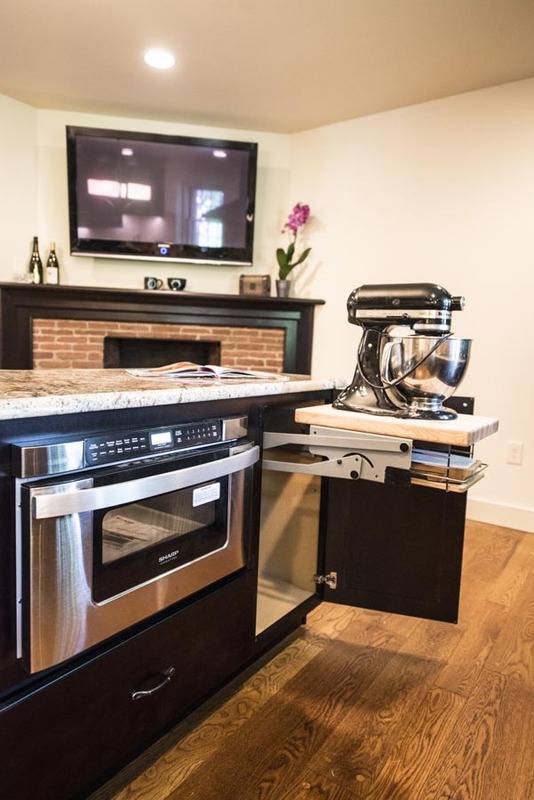 Included in this mixer lift is storage for cook books! Large pantry with roll out trays to organize items. 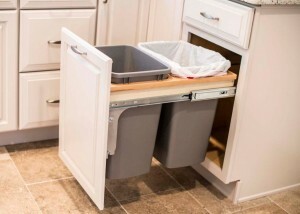 Want to hide the trash cans in your kitchen? 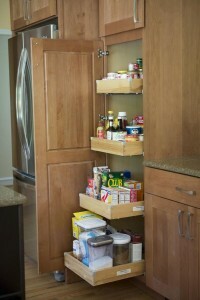 Tilt down storage at kitchen sink for sponges and wash rags. This entry was posted in Designer's Journal and tagged 19008 kitchens, 19070 kitchens, 19083, 19083 kitchens, Bryn Mawr Grande Decor, Bryn Mawr kitchen remodel, deisgner, delaware county kitchens, design/remodel, fresh kitchen, Garnett Valley kitchens, Gillin, Grande Decor kitchens, kitchen design 19063, kitchens 19072, Main Line Kitchens, main line remodel, Narberth kitchen remodel, natural stone countertop, remodeling 19008, remodeling Bryn Mawr, Steph Gillin, white cabinets, white kitchen Garnett Valley, white kitchen main line on November 11, 2015 by Steph Gillin. Microwave interior: place 5-7 wet paper towels in the microwave. 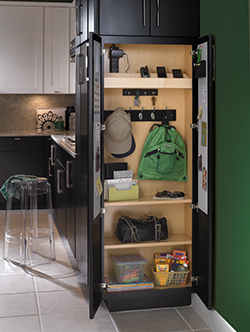 Run the appliance on high for 3-5 minutes. The steam from the paper towels will soften grim. Once the towels cool, wipe down the interior! Garbage Disposal: to disinfect and give your garbage disposal a deep clean, grid a dozen ice cubes made of equal parts water and vinegar. Stone Countertop Stains: to remove most coffee or juice stains use a little hydrogen peroxide in water, plus a few drops of ammonia. 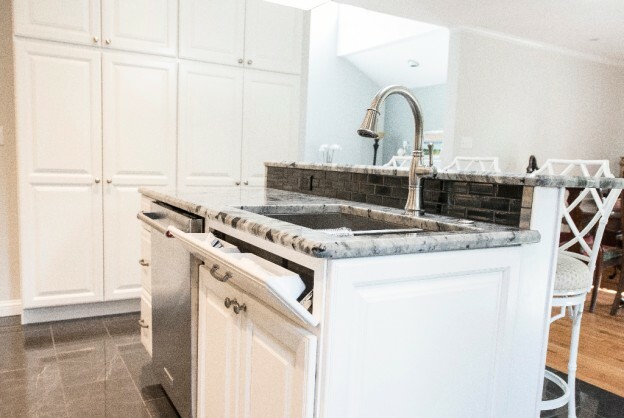 Tile Backsplash: to get a like new feel for your backsplash tiles, mix half a cup of baking soda into two gallons of water. Then scrub with a sponge. Wood Floors: in a bucket, mix nine parts warm water with 1 part white vinegar and mop to make the floor shine like new. Oven Glass: please refer to: the ask anna blog for this one! It is a great tip! Dish Towels: to get rid of a mildew smell wash them, in the washer, with hot water and some white vinegar…only. Then dryer sheet dry them. Stove Burners: Take about 1/4 cup of ammonia and seal it up with one of the burners in a large ziploc bag. You only need a little ammonia in the bag. You are not trying to soak the burner… you just want to seal it up with the ammonia fumes. Let it sit over night (outside) on a cookie sheet. The next day, wipe them down with a sponge. Stainless Steel Sink: sprinkle baking soda in the sink and with a warm wet sponge “buff” in a circular motion the sink. Rinse. Stainless Steel Appliances: warm water on a sponge and cream of tartar. Wipe with a white towel after. 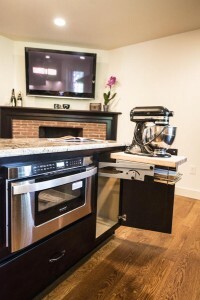 This entry was posted in Designer's Journal and tagged 19083 kitchens, appliances, clean kitchen, deisgner, fresh kitchen, garbage disposal, kitchen cleaning, kitchen fresh, kitchen sinks, kitchens, micorwave, stainless steel, stove burners on August 26, 2014 by admin. 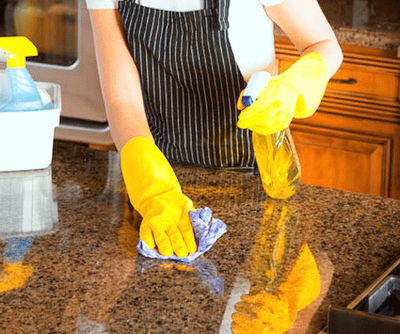 You will be happy to hear just how easy it is to do an annual cleaning and sealing of your granite counter(s). 1. First clean your countertop thoroughly using a natural cleaner. Never clean with any product containing acid, lemon, or bleach. 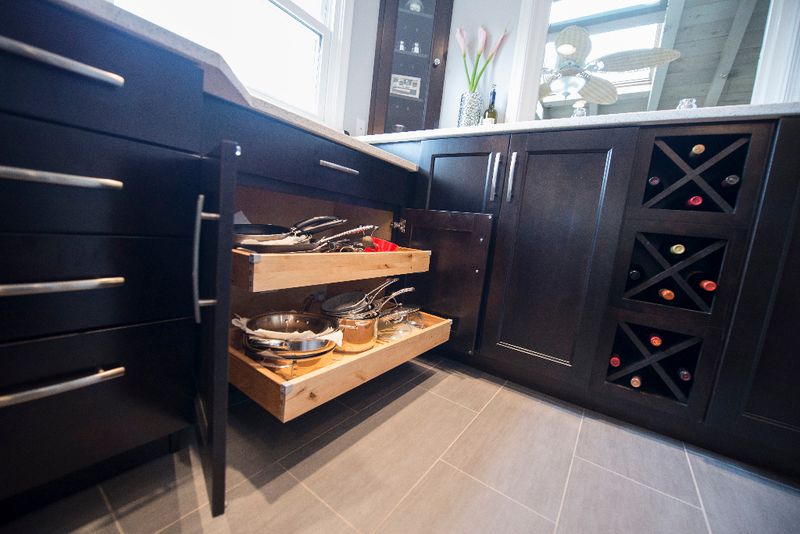 Acids, even a light solution of vinegar and water, will eventually etch and damage natural stone. Do not use scouring powders or creams; these products contain abrasives that may scratch the surface. 2. Now apply the stone sealer. Stone sealers will need to be reapplied as soon as you notice water no longer stands (beads up) on the surface. -I use a sealer and cleaner on our slate tops, which eliminates one of the two steps. It is called “Cleaner/Re-Sealer” by StoneSpecific. 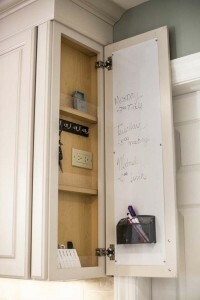 -Make sure you buy a spray cleaner and/or sealer conducive of your countertop material. For example; we have a honed slate material, so I buy a product with that description. Whereas someone with polished granite should look for a natural stone cleaner/sealer. This entry was posted in Designer's Journal and tagged 19073 kitchens, clean kitchen, cleaning granite, counters, deisgner, delaware county kitchens, design/remodel, granite, granite countertops, granite in kitchen, kitchen, kitchen and bath, kitchen and bath design, kitchen design, kitchen design 19063, kitchen granite, kitchen stone, kitchens, kitchens 19083, natural stone countertop, shiny countertops on August 26, 2014 by admin.